She enjoys singing with her choir ‘The Sisters of Abundance’ in her free time. Special interests: Teaching in medical practice, geriatrics, nursing home care, computers in medical practice, asthma and cardiac care. Dr Michael Aird completed his MBBS, graduating at The Adelaide University in 1984. He then completed his Diploma RACOG in 1987. Dr Aird commenced at Flinders Medical Centre as an intern, securing a resident position shortly after. He was an obstetric resident at Flinders Medical Centre and conducted deliveries at McLaren Vale War Memorial Hospital until 1993. He took part in the accreditation process at Noarlunga and McLaren Vale hospitals in a GP Medical/Minor Surgical skills capacity. 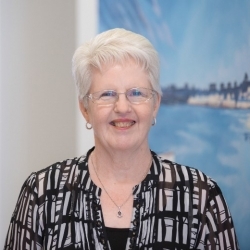 Dr Aird has been a general practitioner with Rhylyn Medical Services since 1987. His current focus includes teaching and geriatric care. 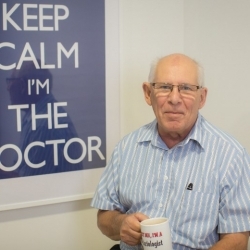 He commenced supervising registrars and medical students at Aldinga Medical Centre in 1992 and continues this very important role in furthering the knowledge of our future generation of GPs. His passion for teaching has encouraged and inspired many registrars who have benefited from his vast knowledge. Special interests: Mental Health, counselling, acceptance and commitment therapy and relationship coaching. 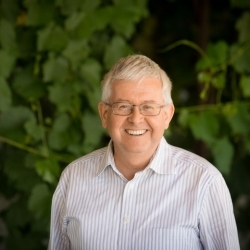 Dr Peter Mansfield OAM BMBS was born in Adelaide and grew up in Daw Park, Nuriootpa, Mannum and Whyalla. He graduated BMBS from Flinders University in 1983 and worked at the Lyell McEwin Hospital before starting in general practice in Prospect in 1987. 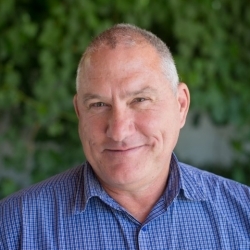 In 2000 he moved to live in Willunga and started working with Rhylyn Medical Services. He now lives in Hallett Cove to be nearer his parents. He has special interests in mental health care, acceptance and commitment therapy, relationship counselling and decision making. He is also a visiting lecturer at the University of Adelaide. His interests include sustainable house design and old science fiction TV shows, especially Dr Who and Thunderbirds. Special interests: Skin cancers, ENT and paediatrics. Dr Sean Murray-Smith graduated at Victoria University of Manchester Medical School. Prior to arriving in Australia, he was ENT Registrar in the North Lonsdale Hospital, Barrow in Furness. On arrival in Australia, he worked as a jackaroo in NSW, worked in ED running the ENT clinic and later worked as a GP in Whyalla and Beaudesert. As a founding member of the Australasian College of Tropical Medicine he was the prime mover in piloting the malaria screening programme. The success of this reducing acute episodes of malaria led to its introduction into the whole of North Queensland. Following this he was made a Fellow of the Royal Society of Tropical Medicine and Hygiene (London). During the 1993 Dengue epidemic in North Queensland he made a case control study of the effectiveness of insect screens in preventing spread of Dengue. He then moved to Adelaide, working in several practices until settling into Aldinga Medical Centre. 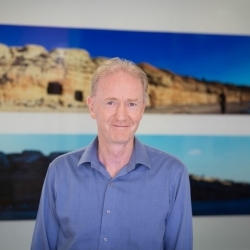 In 2015 he was elected a Fellow of the Royal Society of South Australia. His interests include ENT, using an operating microscope to clear ears of wax and foreign bodies; diagnosis and management of skin diseases; flying radio control model aircraft; rugby union; science awareness in the community and curry at the excellent Indian restaurant on the Esplanade at Aldinga. He is a regular elf in the Christmas Santa fly-in sponsored and run by Aldinga Biplanes at the local airfield. Special interests: Ophthalmology and emergency medicine. Believe it or not, Dr Jack moved from sunny Queensland to be here with us. He graduated from University of Queensland and lived in the Whitsundays for three years prior to joining our practice. He is a rural generalist with emergency skills which means when he is “on holidays”, he is often in rural & remote Australia looking after country hospitals. Jack has an interest in eye health and uses an eye microscope in the surgery which allows a more thorough eye examination. 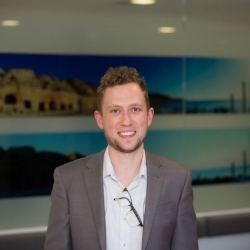 He had previously worked in Flinders Eye clinic, completed his Masters in Medicine in Ophthalmology with University of Sydney and is currently working on a corneal PhD. Academically, he is also involved with teaching practical ophthalmology to Flinders medical students at Murray Bridge. Outside the clinic, Dr Jack enjoys triathlons and recently finished Busselton Ironman with a timing of 10:26. You can often spot him jogging along the esplanade or riding his pushbike up Sellicks Hill. Jack also does martial arts and wears 2nd Dan black belt in Taekwondo. Dr Masters was born, raised, and schooled in the mid north of South Australia. 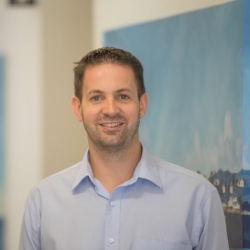 He completed his undergraduate medical degree at The University of Adelaide in 2005, spending the following six years gaining a broad range of experience working at Flinders Medical Centre. He finished his registrar training with Rhylyn Medical Services and was so impressed that he decided to stay on long term. Dr Masters is a keen teacher and supervises both GP registrars and 3rd year medical students. He is particularly interested in paediatrics, teenage health, dermatology, men’s health, diabetes and other chronic disease. He is trained and experienced with Implanon insertion and minor skin surgical procedures. 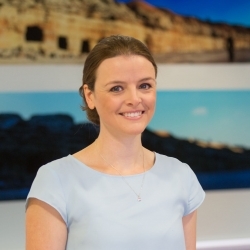 Dr Sorcha Doyle was born in Dublin, Ireland and spent her early childhood there before moving to the UK. She graduated from The University of Liverpool and after spending four years working in local hospitals, decided on a General Practice career. After working for nine years as a GP in Anfield, Liverpool she moved to County Cork in Ireland and spent a further five years working in General Practice there. In 2012 she moved to Australia permanently to become part of the medical team at Rhylyn Medical Services at Aldinga Medical Centre. Special interests: Geriatric and palliative care, sports injuries and medicine. Following his graduation at Flinders University, Dr Nick Richardson completed his internship at Queen Elizabeth Hospital. He worked in England for two years in anaesthetics in Truro, Cornwall and a further stint in Shrewsbury, Shropshire, before returning to Australia to work in obstetrics in Orange. He worked in NSW country general practice for six years before joining us to consult at Aldinga Medical Centre in 1997. Nick enjoys keeping fit in general, supporting soccer in the local community and cheering on the mighty Crystal Palace. Special interests: Paediatrics, integrative medicine, women’s health, antenatal care and acupuncture. 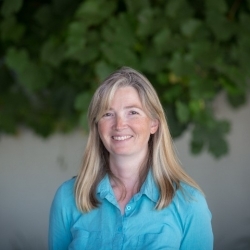 Dr Janet Thornley graduated her MBBS at The University of Adelaide in 1996. Subsequently, she worked at Queen Elizabeth Hospital followed by the Women’s and Children’s Hospital where she obtained a Diploma in Child Health and a Certificate in Women’s Health. 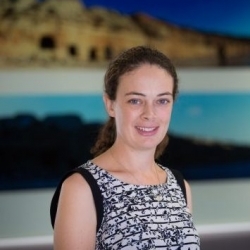 Dr Thornley commenced working in general practice at Moonta on the picturesque Yorke Peninsula for a period of two years, followed by a further five years consulting in the southern suburbs of Adelaide. She started with Rhylyn Medical Services at Aldinga Medical Centre where she has been caring for her patients since 2005. She has a personal special interest in sailing and running. Special Interests: Women’s health, mental health and preventative care. 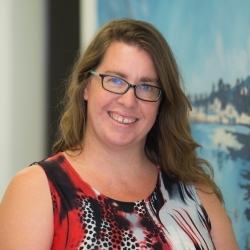 Dr Rebekah Webb is from Tasmania and completed her medical degree and internship in Hobart, graduating in 2012. Bek moved to South Australia in 2014 and has since had experience in the drug and alcohol and mental health services at Flinders Medical Centre. Having now completed her GP training, she has returned to work at Aldinga Medical Centre, where she once was a registrar. Bek has a special interest in women’s health (including Implanon insertion/ removal), mental health and preventative care. In the future she is interested in participating in medical education. 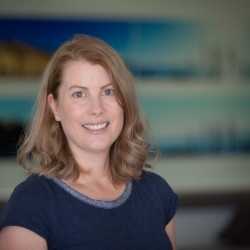 We are pleased to welcome Sarah to the Aldinga Medical Centre. Sarah is a registrar, joining us from Kingston Family Clinic and will be with us until the end of Feb 2019. She will be working at Aldinga Medical Centre on Monday, Tuesday and Friday each week and monthly all day Saturday. Sarah has worked with a variety of patients, from paediatric through to the elderly and she would like to build on this to gain as broad an exposure to general practice as possible. Sarah likes to keep life interesting, in her previous life, she was a winemaker! We welcome Ashton to Aldinga Medical Centre from the Floreat Surgery. Ashton opted to pursue a career in medicine following personal experience with the hospital system at a young age. This is outside of the family norm which has a rich history in property and development in Adelaide. Ashton has a commitment to rural medicine having completed various rotations spanning Berri, Port Lincoln, Port Pirie and going as far as Alice Springs. 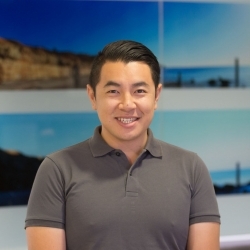 He completed his studies through Flinders University and later did his intern and resident year with the Southern Adelaide Local Health Network. Ashton will be with us for 6-12 months and has a keen interest in all aspects of general medicine. In his downtime Ashton enjoys time spent along the beachfront with his friends and family. We welcome Dr Eve-Sorrelle Bailey to our team. Dr Bailey is a registrar who will be working with us for 6-12 months. She is working Mondays,Tuesdays,Thursdays and Fridays and occasionally a Saturday. Eve-Sorrelle completed her post-graduate medicine course at The University of Wollongong. She then spent 3 years in various hospitals across Newcastle and regional NSW, predominantly working in Emergency Medicine. In her spare time Eve-Sorrelle enjoys the beach, tennis, hiking & camping. 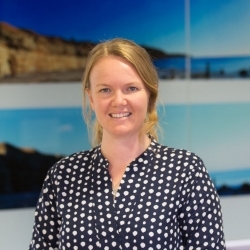 We are pleased to welcome Emily to the Aldinga Medical Centre. Emily is a registrar who will be with us for the next 6-12 months. She will be working on Monday, Wednesday, Thursday and Friday each week and monthly all day Saturday. Dr. Kilner was born in Adelaide and studied Physio at UniSA. She worked in that field for two years, then decided to gain a medical degree at Flinders. She has a Diploma in Obstetrics and Gynaecology. Dr. Kilner worked the last 12 months at a surgery in Woodville. In her spare time she loves to go to the gym, enjoy a coffee with friends and travel. 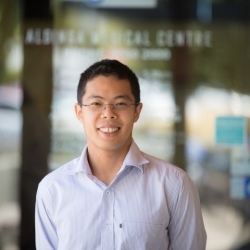 We welcome Dr. Cee-Jon Ying to Aldinga Medical Centre! He is a registrar who will be with us for the next 6-12 months. Cee-Jon will be working on Mondays, Tuesdays, Wednesdays and Thursdays and occasionally on Saturdays. Cee-Jon was born in rural NSW and lived most of his life in Sydney. He completed medical school and graduated from the University of New England in 2012. He spent his post-graduate years working at St Vincent’s Hospital in Sydney from 2013-2017 . In his spare time he loves to travel, enjoys social life, photography and European football as well as the English premier league.